If there is one thing I keep hearing this year, embedded in a variety of different contexts, is leading from your Why. I know my Why behind this Create Accessibility project but realize that doesn't necessarily translate to the why of others. Recently, I attended the CETPA conference in Sacramento that had lots of different technology vendors. 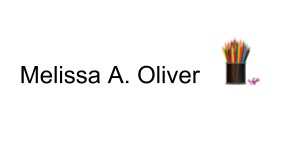 While talking with one vendor that has a fabulous product used in our classrooms, I brought up the point that none of their training content was captioned. I had previously brought this to their attention by email much earlier in the year and received a very gracious response. However, this time I initially I didn't get any response in the conversation so I provided more information about the difficulties that inaccessible content creates for people with disabilities like myself. The vendor handed me their card with the response, "Well, IF this is really important to you, send me an email." It was an odd exchange. Walking away, I thought this was important enough to me to bring to your attention and was saddened that it didn't appear to be more important to this vendor and their company that works in the education space. It's easy to be sad or frustrated. However, this vendor may not have personally been affected by inaccessible content and perhaps a different why and approach may have fully engaged them. This is what I'm learning about this project as time goes on and I talk to more people. 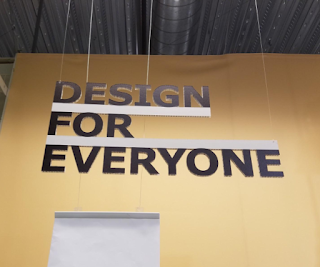 Everyone brings different experiences and will need different rationale to adopt the #CreateAccessibility mindset leading to behaviors that prioritize accessible design as part of the creation process. With the holiday season and the end of the year approaching, I'm in a more reflective space. In this spirit, I have decided to embark on a 7 part series exploring different whys as they relate to closed captioning video content. It may be Why #2 that will resonate with one person while Why #4 may speak to another person. Or, it may be a combination of several whys for some folks. My plan is to share my why based on my experiences for the final post in the series. 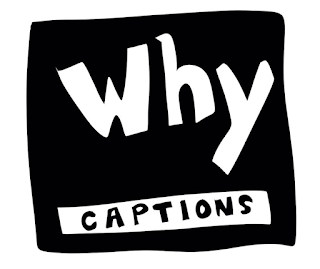 It is my hope that through this series, I can solidify different "whys" for captioning to help Create Accessibility. Ultimately, I don't want companies, employers, or individuals to create or display accessible content for me but rather for the greater good. That is what is going to help create sustainable change and more inclusive environments.